Strategic consulting firm Whitecap Consulting is to open an office in Bristol in its latest phase of its regional expansion. Whitecap, which was established in 2012, helps clients typically located outside London analyse, develop and implement growth strategies. Headquartered in Leeds, the firm expanded last year into the North West and Midlands with office openings in Manchester and Milton Keynes. Now it has added a base in Bristol – at the recently opened Runway East workspace at 1 Victoria Street – as well as an office in Newcastle. The firm intends to expand into Wales and Scotland with further satellite bases. 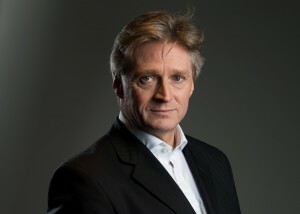 Whitecap managing director Richard Coates, pictured, said: “Our vision is to a build a regional strategy consultancy across the UK servicing mid-sized organisations. As a result, we are delighted to announce two new satellite offices in Bristol and Newcastle to add to our three existing offices. Whitecap works with mid-sized organisations and divisions of corporate businesses across multiple sectors including financial services, technology, retail, higher education, property, healthcare and inward investment. Clients typically have growth ambitions including customer acquisition, new proposition development, new channel and market expansion, as well as digital and data-driven transformation. In recent years Whitecap has worked with Bibby Financial Services, The Cooperative Group, Costcutter, the Department of International Trade, Ryman, Unisys, and Vocalink.